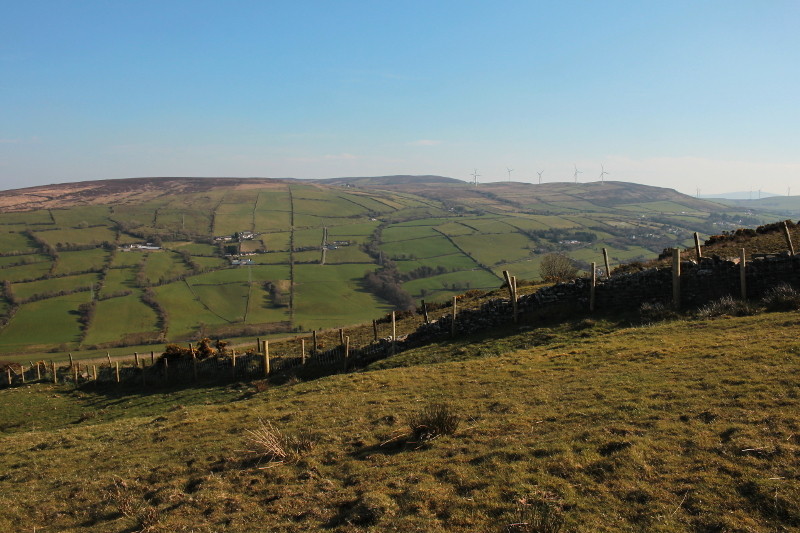 The name Clondermot Hill is referred to numerous times in the Ordnance Survey Memoir for the parish of Clondermot. It is odd that the name does not appear on OSNI maps. Has been called Corrody Hill. Clondermot Hill is the 1351th highest place in Ireland. Clondermot Hill is the most northerly summit in the Sperrin Mountains area. Pleasant Walk Apart From The "Jagging"
A fairly quick little hill to ascend which made for a nice spring evening walk. I parked at the junction of Kittybane and Gortinure Road, then walked north along the Kittybane Road until I reached the step over the wire fence shown in prehenrambler's photo. Crossing the field there was a stile and a small bridge over a ditch. I then continued east a short way through gorse which was fairly thick in places and difficult to get through. Emerging from this I then turned north again along the higher edge of two fields, taking this route because there were steps over the wire fences in this direction, suggesting access was not an issue. The summit was now to the east, and there was another patch of difficult gorse to get through.